A SAVING of £20 a day in energy bills has paved the way for an award-winning, family-owned farm park in Tattershall, Lincolnshire, to expand its offering and enhance visitor and animal comfort no matter the season. 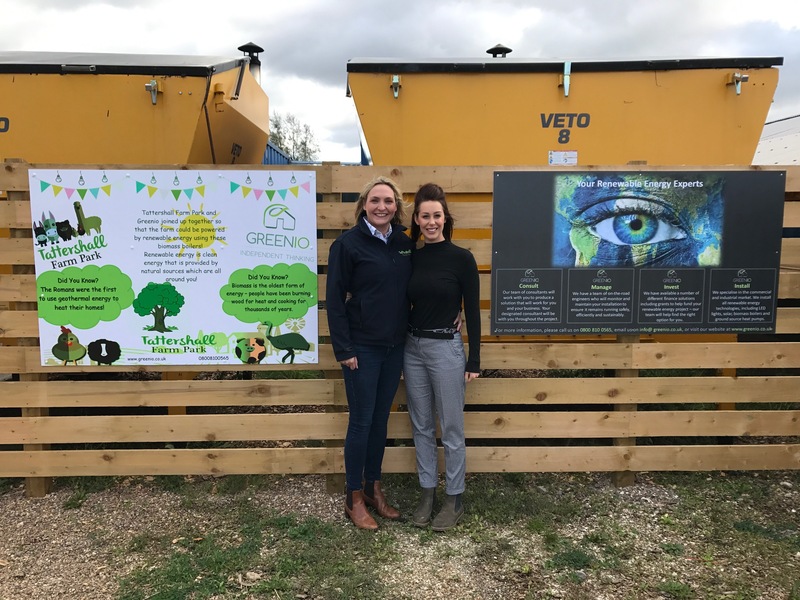 The saving of over £7,000 annually has been the direct result of the advice and solutions provided by Lincolnshire-based renewable energy consultants, Greenio, which worked directly with Tattershall Farm Park to supply and install two biomass boilers, ensuring they met the growing needs of the popular family attraction. Marie Morrell and her husband James took over Tattershall Farm Park in 2015 - after spotting potential in the family business which was in need of refurbishment, care and investment. Through the installation of biomass heating and double-glazing, the business has been able to re-invest its savings to create a dynamic all year round attraction which provides the best possible experience to customers and a comfortable environment for its animals. “We are delighted to be part of Tattershall Farm Park’s success, helping the visitor attraction to go beyond where it was three years ago and become a real destination for families across the East Lindsey District. Tattershall Farm Park has become an extremely popular attraction, having earned a TripAdvisor Certificate of Excellence through consistently garnering positive reviews in recent years. Alongside this the farm also earnt the title of Visitor Attraction of the Year during the East Lindsey Business Awards 2018. “Running an all year round attraction – especially in the UK – is really tricky, particularly when farms are traditionally perceived as cold and dark places in the winter. We wanted to create a bright and vibrant farm park when we took over Tattershall three years ago and we are pleased to say we have achieved this through hard work and innovation. “A huge part of this has involved green energy, which has allowed us to create a comfortable and toasty warm environment for all our visitors no matter the season. Not only has green energy made the farm a more comfortable place to be, but the support from Anna and her team has enabled us to make huge savings when it comes to our energy bills. “We are always looking for ways to enrich the farm park for visitors we are continually re-investing savings into the park itself, with our most recent additions including jumping pillows and inflatables both of which are extremely popular with our youngest visitors. To learn more about this project, or to find out how you can improve your carbon footprint and save money, contact Greenio on 0800 810 0565. Further information can be found at www.greenio.co.uk.